If you forgot your ICICI Debit card PIN then no need to visit bank or ATM, you can get new PIN online using iMobile and Internet banking. ICICI Bank is India’s second largest private sector bank, provides best banking services to customers. Through iMobile mobile banking application you can manage your bank account on smartphone, also you can access your account through net banking. If you forgot your ICICI debit card then follow these 2 online methods and get your new pin instantly. It is common to forget the PIN so whenever you face this situation, follow these two methods and get your new PIN instantly. ICICI iMobile is best banking application which available on Android and iOS. You can install this application on your smartphone. After complete iMobile registration process you can manage your account on your phone. see how to get new PIN. 2: In next screen, Select your account number, debit card number and enter CVV. Enter the 4 digit debit card PIN of your choice. Confirm debit card PIN and ‘Submit’. Done! you PIN is ready to use. 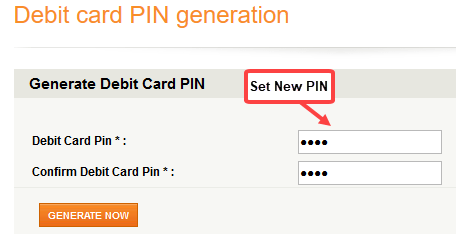 You can also login to net banking account and get new pin online. 1: Login to net banking account. 3: Now select your account number, debit card number and CVV and submit it. 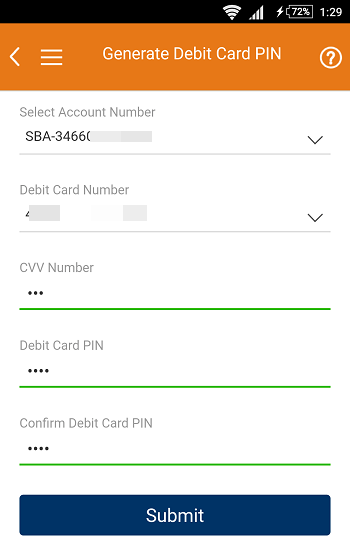 4: In next screen, enter OTP which received on your registered mobile number and enter card grid number which you can see in back side of your card. 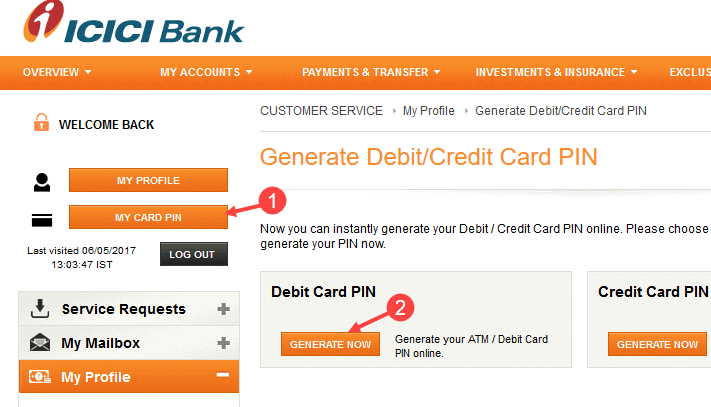 5: Now set your new debit card PIN and click on Generate Now. So when you forgot your ICICI Debit card PIN, by following these two methods you can get/reset pin online without visiting branch or ATM. How to change/update ICICI net banking user ID? 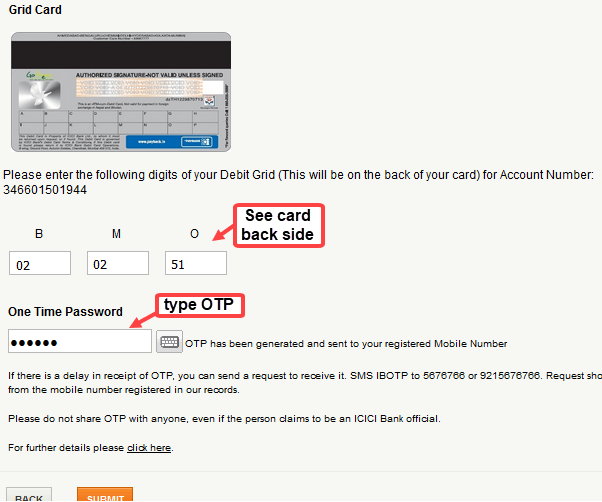 4 ways to order ICICI Cheque Book Online?